Bamboo is a strategic resource that many countries can use to restore their degraded landscapes and reverse the dangers of desertification. Policy makers, natural resource managers and rural development planners need to be better informed of the unique properties of this plant and how it can help them in their policies and action plans to combat desertification. Bamboo has a very rapid growth cycle compared to trees – up to one metre/day for some species; its root system binds soil and protects against erosion; its leaves provide a year-round supply of soil nutrients where it grows; and it is emerging in many communities as a practical option for perennial animal fodder, supporting the livelihoods of communities living on degraded and marginal lands. Reversing land degradation: Bamboos grow rapidly through an extensive root system that helps to bind soil, whilst maintaining a permanent canopy over it, making the plant a unique and effective tool to control erosion and slope stability. This has been demonstrated in Guizhou Province, China, where research documented a 24.6 percent decrease in surface run-off compared to sweet potato cropland, and an initiative in Allahabad, India, where 80,000 hectares of land made unusable by a decade of brick mining was brought back into productivity using bamboo as a pioneer species. INBAR member countries are now exploring options for achieving land degradation neutrality through the use of bamboo: Ghana is using bamboo to ‘re-green’ dump sites and the quarries of former mining areas; Ethiopia’s Sustainable Land Management Programme is promoting bamboo as a strategic resource to control erosion and restore degraded upper catchments – an approach directly promoted by the country’s President, Mulatu Teshome; and China is integrating bamboo into its initiative to convert marginal sloping agricultural land into forests, which is currently being implemented across some 29 million ha in 25 provinces, benefiting around 32 million rural households and 124 million farmers. Improving soil health: Most bamboo species form an ‘evergreen canopy’, dropping leaves year round, providing a perennial source of nutrients. It is estimated that, on average, one hectare of bamboo produces some 5-7 tonnes of leaf litter per year – an effective mulch to improve soil properties. Soils under bamboo show relatively high pH, helping to neutralize acidity, and the plant provides high levels of organic matter and nutrients, including Calcium, Magnesium, and Zinc. In the Allahabad restoration scheme, bamboo added 6-8 inches of humus to the soil, and increased the soil’s carbon content – from 0 to 0.7 – 0.9 t/ha. Its rapid growth and strong root systems make bamboo a powerful soil protection tool. Estimates show that a single bamboo plant can bind up to 6m3 of soil. The Government of Rwanda has acted on this evidence by drafting a national bamboo policy that calls for the planting of bamboo along rivers and lake shores. A ministerial order on buffer zone management has resulted in bamboo being planted along October 2015 corridors beside the country’s rivers and water bodies. Similar actions are in place in other countries, including Sri Lanka, Brazil, China, Kenya, and the Philippines. Reducing pressures on existing forest resources: Farmers and foresters who can regularly harvest raw materials and fuel from bamboo stands are under less economic pressure to unsustainably exploit less renewable forests – especially if the bamboo is close to home. Strong, flexible and versatile, the plant lends itself to the production of over 10,000 different products, providing an opportunity for rural communities to participate in a growing global sector worth some 60 Billion USD every year. Acting as a ‘carbon sink’: Bamboo-led afforestation provides a significant ‘carbon gain,’ given its high sequestration rates. Substantial amounts of carbon are stored in the bamboo forests of China, the world’s largest, and the total will increase as planned afforestation programmes expand. The carbon stored in Chinese bamboo forests is projected to increase from 727 million tonnes in 2010 to 1018 million tonnes in 2050 – nearly 40 percent in 40 years. vii The plant is now recognized in fledgling carbon offset programmes in China, including a nationally approved carbon afforestation and reforestation methodology developed with the help of INBAR and its partners. Supporting global initiatives: Bamboo and rattan directly support six of the new sustainable development goals (SDGs), targeting poverty reduction, energy, housing and urban development, sustainable production and consumption, climate change, and land degradation. As countries put their sustainable development goals into action, bamboo can play a strategic role in national action plans, supporting Sustainable Land Management strategies to reach ‘Land Degradation Neutrality’. For instance, bamboo can be used to help countries meet SDG 15 – protecting and restoring terrestrial ecosystems. The plant also contributes to the Bonn Challenge, the global initiative targeting the restoration of 200 million hectares of the planet’s degraded lands, to which INBAR Member States have agreed to contribute some five million hectares of bamboo. Member countries meeting at INBAR’s Ninth Council Session in November 2014 in Addis Ababa, Ethiopia agreed to work towards a plan to restore at least 5 million hectares (ha) of degraded land and areas of low quality bamboo production, transforming them into productive, healthy bamboo forests. The announcement during INBAR’s biennial council meeting of 40 member states confirms the organisation’s commitment to supporting the so-called Bonn Challenge. In Bonn in September 2011, an international assembly of representatives from governments, indigenous peoples and conservation groups launched a target to restore 150 million ha of degraded and deforested lands by 2020. Setting the goal marked a major step forward in the acceptance of forest landscape restoration (FLR) as a means of meeting global and local challenges and delivering on existing international commitments that require restoration. FLR aims to improve both human well-being and ecological integrity. Bamboo can play an important role in achieving the Bonn Challenge. It can make a significant contribution to landscape restoration, due to its rapid growth potential and extensive root system that can bind soils and maintain slope stability. Bamboo supports local livelihoods and promotes biodiversity. It also helps with climate change mitigation and adaptation. Bamboo improves and rehabilitates the natural or man-made ecosystem in which it grows by conserving soil and water and improving the quality of the land. Due to the rapid growth of its rhizome, which – unlike tree roots – spreads horizontally, bamboo is excellent for protecting riverbanks, dam sites, lakes, ponds and slopes. Bamboo’s efficiency as a soil binder has been reported in China, Costa Rica, India, Nepal, the Philippines and Puerto Rico. 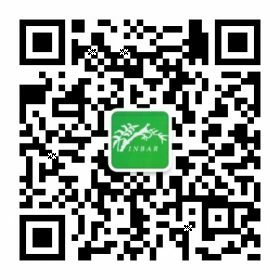 INBAR is working with a number of its member countries to promote planting of bamboo for a variety of purposes. Some INBAR member states have already recognised the importance of bamboo for sustainable land management. For example, the Chinese State Forest Administration has reported that by 2020, 1 million ha of new bamboo forests will be planted and 3 million ha of existing bamboo forests will be improved. The Philippines has committed to reforesting at least 500,000 ha with bamboo by 2020. Previous work by INBAR and local partners in India has restored nearly 100,000 ha of degraded land, with estimates that this figure can be more than doubled by 2020. In Ethiopia, plans are in hand to restore nearly 500,000 ha of degraded land through bamboo afforestation. Other INBAR member states may have smaller-scale objectives, but together, the combined target is for the total membership of 40 countries to restore 5 million ha by 2020.